From the Collection of the Terra Foundation for American Art, two paintings are on view in the exhibition Monet’s Étretat: Destination and Motif. 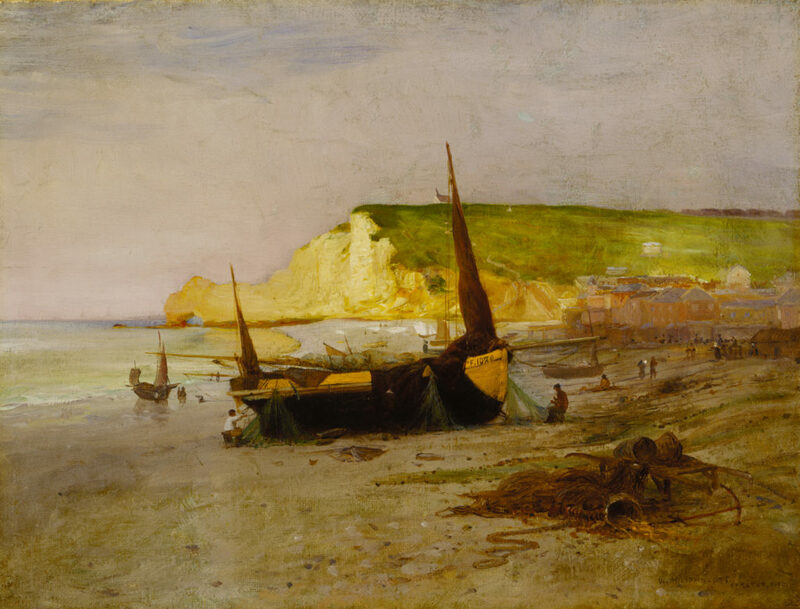 William Henry Lippincott’s The Cliffs at Étretat and the work by George Inness, Sunset, Étretat are exhibited alongside vintage photographs, period guidebooks, and printed material providing context for the transatlantic exchange that developed between American and French artists toward the end of the 19th century. This exhibition is on view at the Timken Museum of Art, San Diego, California, September 7–December 31, 2017.